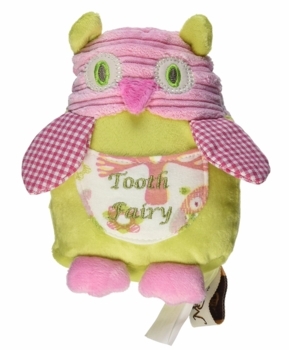 A most adorable gift that makes the tooth fairy's job much easier! Plush owl measures 4 by 6 by 9 inches and is embellished with a little pocket to put a lost tooth in. It's a fun way to "transact" with the Tooth Fairy.